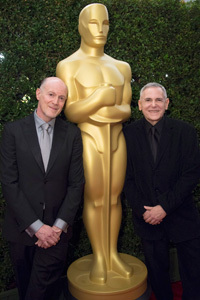 The acclaimed motion picture, television and theater producing team of Craig Zadan and Neil Meron will return to produce the Oscars for a second time next year, Academy President Hawk Koch announced. The February 2013 Oscars hosted by Seth MacFarlane, drew an average audience of 40.3 million total viewers and delivered a 13.0 rating among adults 18-49. The show was TV’s most-watched entertainment telecast in the last 3 years. The Oscars will be held at the Dolby Theater at Hollywood & Highland Center in Hollywood, and will be televised live by the ABC Television Network. The Oscar presentation also will be televised live in more than 225 countries and territories worldwide.